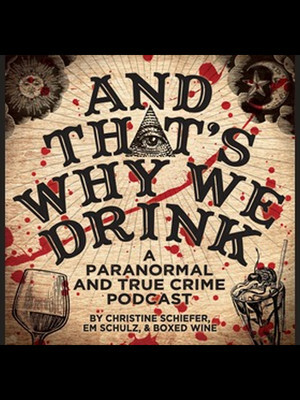 Why See And That's Why We Drink Podcast? 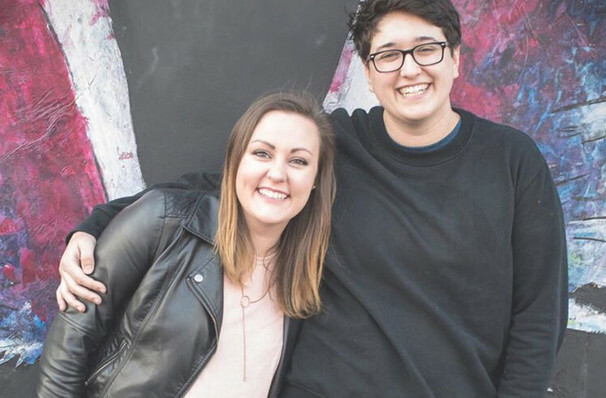 Brought together by their mutual love of true crime stories, paranormal mysteries and boxed wine, LA twenty-somethings Christine Scheifer and Em Schulz launched their hilarious 'And That's Why We Drink Podcast' in early 2017. Over the course of just two short years, they have amassed a fervent fan base consisting tens of thousands of Facebook and Instagram followers. Experience their sparky black comedy live and in the flesh during their first ever live podcast tour. With 88 episodes and counting in their arsenal, Scheifer and Schulz leave no stone unturned in their morbid fascination with the darker side of life. From the real life mystery of the death of Elisa Lam, to the story of the Craig's List killer to the haunting of the Hotel Monte Vista, the intrepid podcast hosts imbue each spine-tingling tale with their witty responses and wry observations, an unconventional but highly entertaining formula that fascinates with horror but makes listeners laugh at the same time! Sound good to you? Share this page on social media and let your friends know about And That's Why We Drink Podcast at Vic Theater. Please note: The term Vic Theater and/or And That's Why We Drink Podcast as well as all associated graphics, logos, and/or other trademarks, tradenames or copyrights are the property of the Vic Theater and/or And That's Why We Drink Podcast and are used herein for factual descriptive purposes only. We are in no way associated with or authorized by the Vic Theater and/or And That's Why We Drink Podcast and neither that entity nor any of its affiliates have licensed or endorsed us to sell tickets, goods and or services in conjunction with their events.